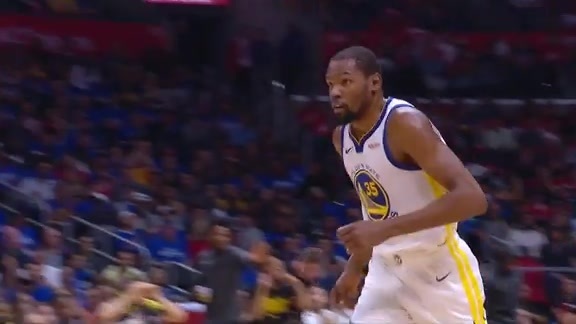 The National Basketball Association announced today that the back-to-back NBA Champion Golden State Warriors’ 2018-19 season, presented by Kaiser Permanente, will feature 28 national TV appearances on ABC, ESPN and TNT. The league previously announced that Golden State’s season will tip off on October 16 against the Oklahoma City Thunder. 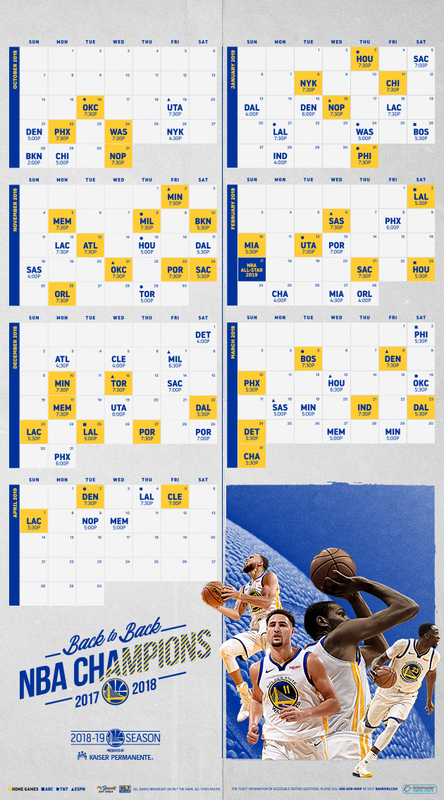 Tip-off time for all of Golden State’s weekday home games during the 2018-19 season will be 7:30 p.m., with the lone exception being the matchup with the Los Angeles Lakers on Christmas Day, which tips off at 5:00 p.m. at Oracle Arena. All Saturday and Sunday home games will tip-off at 5:30 p.m.
Golden State is slated for 13 back-to-back sets, the fewest in franchise history since the league begin using an 82-game season format in the 1967-68 season. Of the 13 back-to-back seats, three are home-home matchups on Nov. 23-24; Dec. 22-23 and March 23-24. Of Golden State’s 28 national television appearances this season, six games are scheduled on ABC, 12 on TNT and 10 on ESPN. The Warriors’ ABC lineup tips off with their Christmas Day meeting against the L.A. Lakers and includes home games against the Lakers on Saturday, February 2 and the Houston Rockets on Saturday, February 23. Additionally, the Warriors will be featured on ABC on the road at the Boston Celtics on Saturday, January 26; at the Philadelphia 76ers on Saturday, March 2 and at the Thunder on Saturday, March 16. 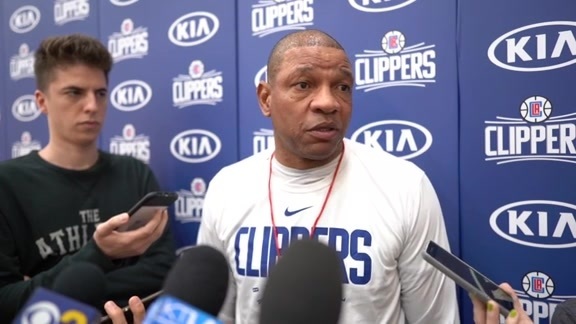 Highlights of the team’s TNT docket include the season opener versus the Thunder on Tuesday, October 16 and the Martin Luther King Jr. Day game at the Lakers on Monday, January 21. In addition, the TNT slate features home games against the Milwaukee Bucks on Thursday, November 8; the Rockets on Thursday, January 3; 76ers on Thursday, January 31; the Utah Jazz on Tuesday, February 12; the Celtics on Tuesday, March 5; the Denver Nuggets on Tuesday, April 2 as well as road contests versus the Rockets on Thursday, November 15; at the Toronto Raptors on Thursday, November 29; at the Washington Wizards on Thursday, January 24 and at the Lakers on Thursday, April 4. 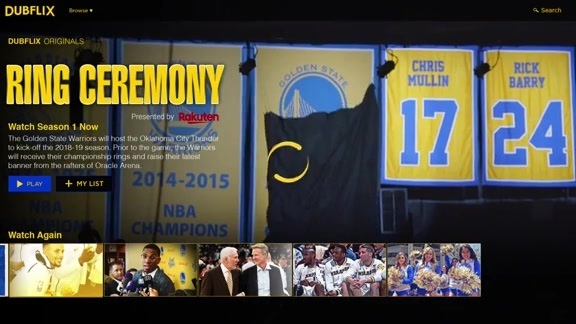 Golden State’s 10 ESPN appearances include visits to Oracle Arena by the Minnesota Timberwolves on Friday, November 2; the Thunder on Wednesday, November 21; the Raptors on Wednesday, December 12; the New Orleans Pelicans on Wednesday, January 16; the San Antonio Spurs on Wednesday, February 6; the Nuggets on Friday, March 8. The Warriors appear on ESPN on the road at the Jazz on Friday, October 19; at the Bucks on Friday, December 7; at the Rockets on Wednesday, March 13 and at the Spurs on Monday, March 18. In addition to their 28 combined appearances on ABC, TNT and ESPN, the Warriors have 10 games scheduled on ESPN Radio. 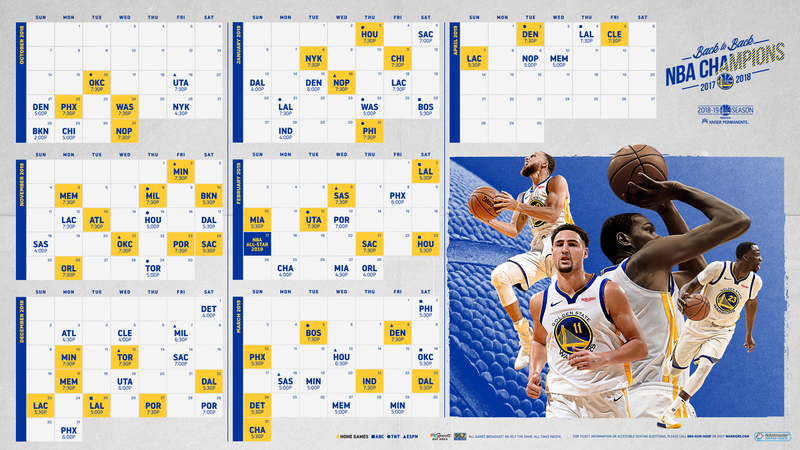 The Warriors’ longest homestand of the season is a five-game stretch over 11 days beginning on Oct. 31 and concluding Nov. 10 while the longest road trip of the year is a five-game, 11-day trip from January 18-28. The 2018-19 NBA schedule will once again use a 30-team format (two conferences of 15 teams each, with three five-team divisions within each conference) in which teams will play each opponent within their division four times, while playing six of the remaining 10 teams in their conference four times, and the four remaining teams in their conference only three times. Teams will also play all 15 opponents outside of their conference two times each. In 2018-19, the Warriors will play only three games against the following Western Conference opponents: San Antonio (one at home, two away), Utah (one at home, two away), Oklahoma City (two at home, one away) and New Orleans (two at home, one away). 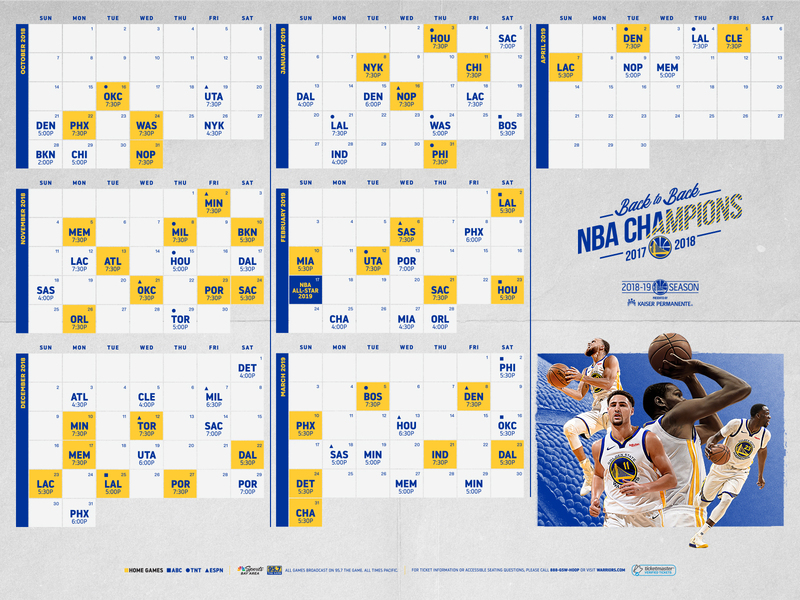 For information on ticket availability, including single-game ticket presales, partial season package options, and the Warriors’ official resale marketplace, where season ticketholders and other fans resell tickets that are guaranteed by the Warriors organization, please visit warriors.com or call 888-GSW-HOOP. The Warriors ticket marketplace offers a safe and convenient way for fans to access all levels of tickets throughout the regular season and playoffs. Fans interested in securing presale access for partial plans and individual game tickets may do so by joining the Season Ticket Holder Priority Wait List, which currently has over 43,000 members. For more information, visit www.warriors.com or call 888-GSW-HOOP (press 1).